LOKKA should not be fitted to the front of Full Time 4x4 Vehicles used On-Road, without a Part Time 4x4 Conversion Kit fitted. Gear to Goannawhere offers a Part Time 4x4 Conversion Kit for Toyota Landcruiser 80, 105 & 100 Series and some Lexus models. There is no centre differential after the conversion, the centre differential gears are removed. It is these gears that make the front drive parts move ALL the time when not 'locked'. The conversion is performed to stop the front parts moving altogether, hence disconnecting front and rear tail-shafts. Only the rear end drives after the conversion, until you use the 'Diff Lock' or 'Trans Lock' switch to engage the mechanism in the transfer case. Once 'locked' the front 'side gear' in the centre differential cannot turn, so all the other centre differential gears are also fixed relative to the case and the two tail-shafts are effectively locked together. After conversion, the Part Time Conversion Kit simply uses this existing mechanism to provide drive from the centre differential case to the front tail-shaft. Note: the factory lock mechanism is not inside the centre differential carrier, it is at the front of the transfer case and simply locks the front output shaft to the front half of the centre differential carrier. Substantially reduces the drive line 'lash ' most noticeable with rapid acceleration followed by deceleration or poor clutch pedal control on manual vehicles. Refines the vehicle and makes it much smoother and more economical. All lockers have reduced Warranty conditions compared to LOKKA. Part Time Conversion Kit comes with Comprehensive Fitting instructions & pictures. Like LOKKA, it does not require a specialist to fit, however if you are unsure of your ability, using a professional is a good idea. The transfer case is not removed for fitting. ABS brakes are not effected on Landcruiser 100 Series IFS vehicles. However, Live Axle 105 models and 80 Series with ABS will trigger the ABS warning light when the Free Wheel Hubs are in 'Free'. This can be avoided by engaging the Free Wheel Hubs when ABS is required. Many vehicles with ABS also have a Viscous Coupling Unit fitted and vice versa. The Viscous Coupling unit is removed when the Part Time Conversion Kit is fitted, it no longer performs any function. A switch and wiring is provided in the kit for Viscous Coupling models. There are less moving parts than standard when the Kit is fitted. Warranty is the same as LOKKA, except for the Free Wheel Hubs, which have 12 months Warranty. 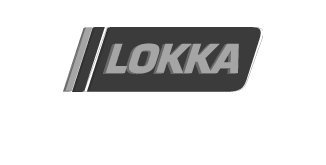 To purchase a Part Time Conversion Kit, with or without a LOKKA Kit, please go to the LOKKA SELECTA on the home page and enter your vehicle details as if searching for a Front LOKKA. If Gear to Goannawhere offer a Part Time Conversion Kit for your model, the LOKKA SELECTA will display it in the search results.